A style of music that peaked in popularity about a century ago is being celebrated with a series of live concerts this weekend in north-central Iowa. “Ragtime in Randall” is marking its 25th year. Ellis Anderson is one of the organizers and says today’s featured performer will be a real treat for the ears. “Our guest artist this year is Reginald Robinson from Chicago who is internationally known,” Anderson says. “We were most lucky to get him to come. He will be playing a concert from 10 until noon.” Ragtime is known for its syncopated or “ragged” rhythm and the ragtime era was sweeping America about 11 decades ago. 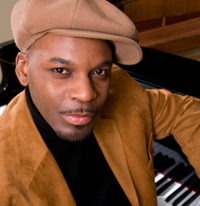 The 1920s brought a conclusion to the ragtime era with the rise in popularity of jazz, and Anderson says ragtime had fallen out of favor until the early 1970s. That movie brought ragtime and Joplin’s music to a wide audience. A song from the soundtrack, an adaption of the 1902 tune “The Entertainer,” reached the top five in 1974. The music festival in Randall continues through Sunday. There will be a young artists concert, a jam session plus a performance entitled “Experience Eleanor Roosevelt” by Jane Cox this afternoon at 3:30. All of the concerts will be held at the Randall Gymnasium. Learn more at: www.ragtimeinrandall.org.